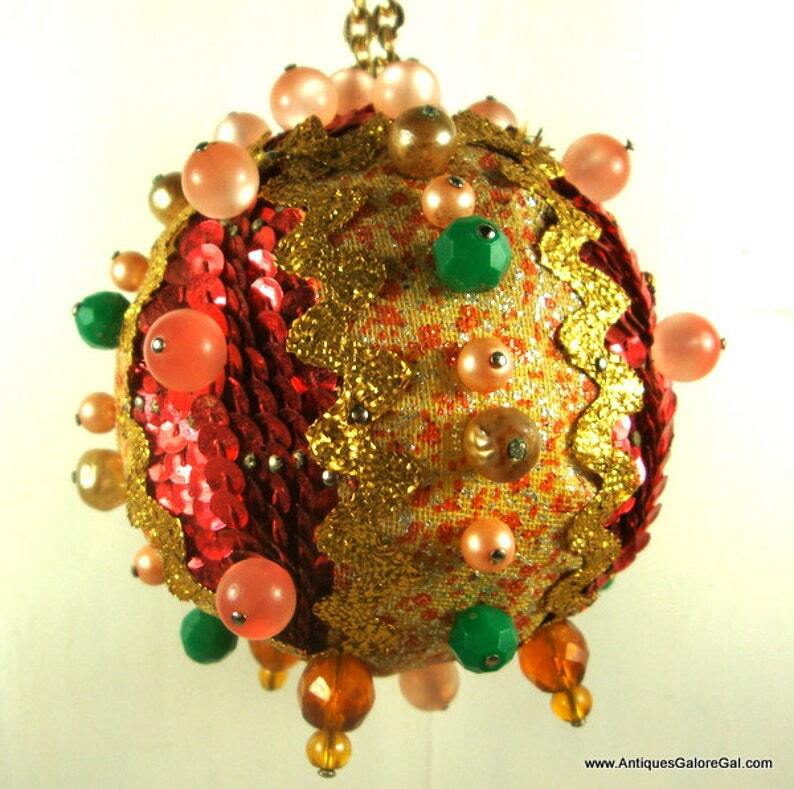 Vintage handcrafted Christmas ornament. This was a very popular craft in the 1970's and took a lot of time to create. This ornament is heavier than most, I'm not sure what the base ball is made of. Covered in a metallic gold ribbon, layered with red sequins, beads and gold rick rack. It will certainly sparkle and shine on your holiday tree. Although it has a chain to hang from your tree, it is also self standing. Measures 4 1/4" tall, not including the chain. Chain is another 2 3/4". In very good vintage condition. Questions? Please ask! Your idea of acceptable vintage condition and mine may differ. More handcrafted ornaments? Combined shipping available. Start your collection today!